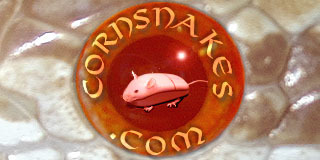 Actually, I was leaning towards a "CornSnake Phase" Milk Snake. As long as it's not the cornsnake-phase racer. That one is very, very bitey. This morning I took the Little Milk Snake out for a few minutes of handling. I have no idea right now if it's a Male or Female, it's so small, we'll have to wait a while before we can figure that out. I tried to feed a Pinky head last night...... No luck. I tried an earthworm this morning......... No luck. It's very friendly for a wild caught snake. It goes sort of berzerk when I first grab it, but then calms right down. I was able to take a few pictures of him/her. I hope I can get it to eat soon. I really like this little snake. Small lizards or frogs maybe? Cut up some frog legs real small? Karl, I feed hopper tails to really small corn hatchlings. I start the tail in their mouths and see if the feeding response starts. If not I push it in a little more and they usually catch on. What a beautiful little one. I hope you’ve had luck feeding it. Very pretty! Maybe try gecko/lizard scenting?